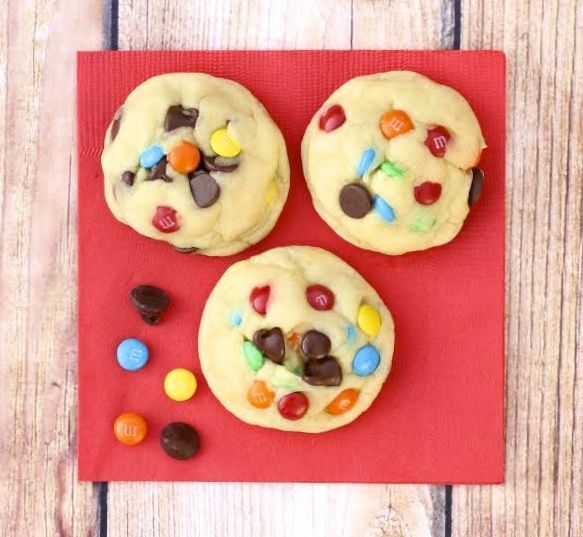 What happens when you combine M&Ms and Chocolate Chip Cookies? Loaded decadent M&M Chocolate Chip Cookies, that's what! Stir in Chocolate Chips and M&M's to dough, and stir well with large spoon. After dough has chilled, form rounded balls and place on ungreased nonstick Cookie Sheet. Bake 7 – 9 mins at 350 degrees, or until done. Enjoy!